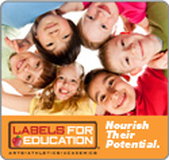 The Labels for Education® program is winding down. As of August 1, 2016 only UPCs with the Labels for Education logo will be accepted and redeemed for points into registered schools’ bank accounts. We have begun the process of removing the logo and expect there will be a limited number of products that contain these labels in stores through August 1, 2017. Once all Labels for Education logos have been removed from the products, UPCs will no longer be accepted. In the meantime, the banked points schools have accumulated will not be affected. All points earned can be used to redeem anything currently listed in the Merchandise Catalog. For the current school year, Campbell’s has continued with the Grand Stand for Schools Sweepstakes. Individuals enter their school to have a chance to be one of 100 schools randomly selected to receive a $10,000 award to help with the school’s needs. This year you no longer need to collect and submit UPCs and Beverages/Sauce Caps as a means of entry. Enter at GrandStandForSchools.com for free and upload a receipt of an eligible purchase for 5 bonus entries. Plus, you have a chance to win a $175 Visa® Prepaid Card for your next grocery trip. For more information, visit GrandStandForSchools.com.